Fred Archer was born in Melbourne on 17 December 1890 and was a drover’s son. 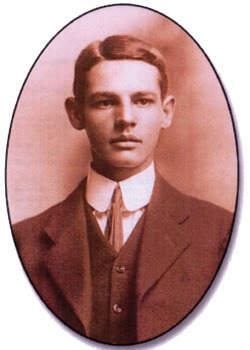 On leaving school his uncle offered him a job as an accountant in Melbourne but Fred hated city life and headed up north with his brother to become a jackaroo in Queensland. Both brothers enlisted and Fred served with the AIF in World War l before moving to New Guinea in 1923, where he managed a very successful plantation near Bougainville. When the Japanese invaded in World War II, Fred stayed behind as a Coastwatcher escaping when it became too hostile in an American submarine with PNG civilians, arriving back in Sydney in February 1943. After the Japanese surrendered he was instrumental in rebuilding his shattered plantations and created the Bougainville Company, a successful sea freight operation. When he retired, Fred devoted himself to philanthropic work, providing education opportunities for generations of Papua New Guineans. He paid school fees, attended graduations, sending many local children to the best available schools. Shortly before he died, Fred formed his company into a Charitable Trust, managed by Perpetual the Trust has a broad reach with a focus on education, health and community with PNG and Australia. Sculpture by the Sea is proud to honour the legacy of Fred P. Archer and we are very grateful for the Trust’s generosity and support of our free to the public exhibition.